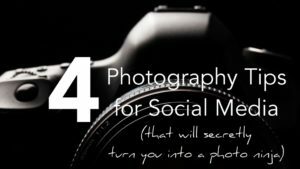 4 photography tips to make your social media photos much, much better on Instagram, Facebook, Pinterest, Twitter, Google + and Snapchat. These social media secrets are part of the #smsecrets program, and come from Convince & Convert Media. Want to know how to better use lighting, composition, and camera angles on Instagram? Learn that and more in this dynamic presentation from Jay Baer, Daniel Lemin, and the Convince & Convert media team. A solid guide for aspiring social media marketers and content marketers, world-wide.